My Faded Roses Graham-finity Cowl has been washed and blocked, and it is now dry. I’m pretty happy with how it turned out. As I suspected, it did grow quite a bit when I washed it. 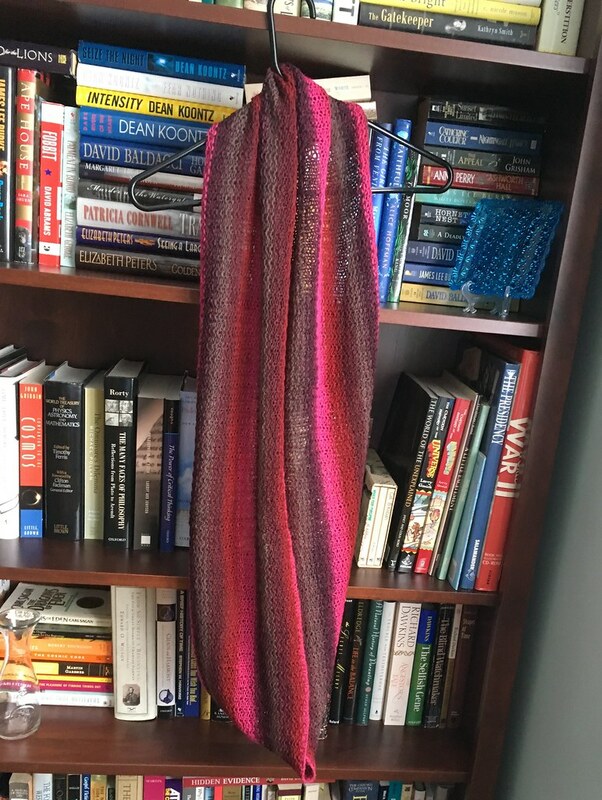 I’ll admit I was a teeny bit worried because it was a little on the small side when I took it off the needles, and because it’s a cowl, I didn’t bother to swatch. Even if it had ended up being a little small, it would have fit someone. This picture captures the colors pretty well. The hot pink really pops. If you wear the cowl as a single loop, it’s pretty long and it’s wide enough that it will cover your chest and keep it warm under your coat. 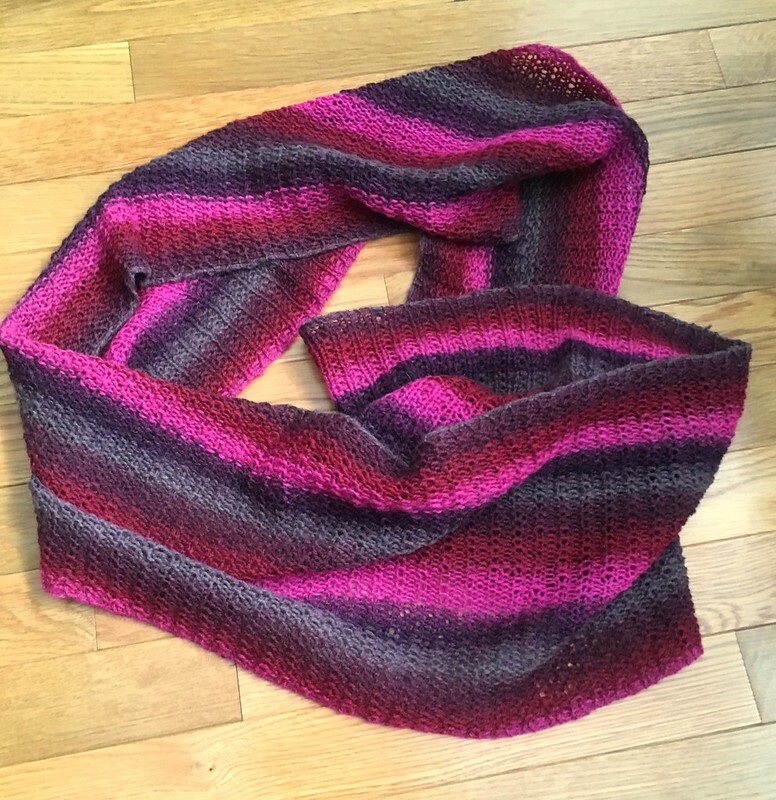 Worn as a double loop, the cowl is sure to keep your neck warm, and if your head and ears get cold, you can pull one of the loops up over your head for added warmth there. My iPhone doesn’t take the best pictures because the selfie camera isn’t the greatest, bit you can still get a good idea of how the cowl fits and looks when doubled. An added bonus is that you get to see the results of my recent hair cut. 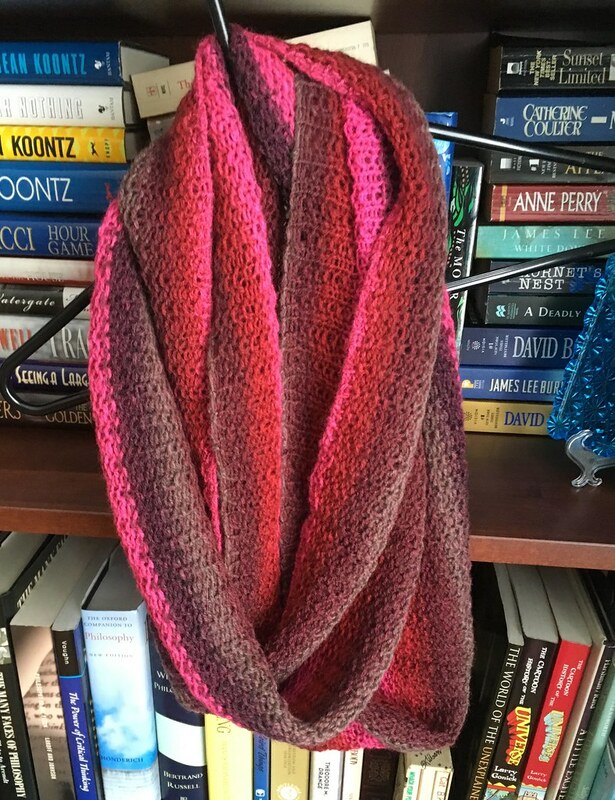 This cowl is truly one of a kind. I will probably give it away because as much as I love it, these are just not my colors. 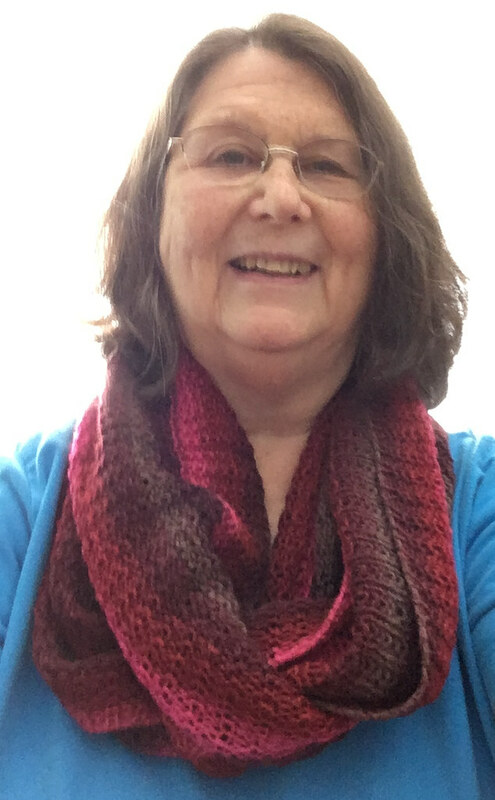 This entry was posted in Knitting and tagged cowl, Graham-finity. Bookmark the permalink. I love the colors, too, but I rarely wear pink. It is not one of my favorite colors for sure. I don’t dislike pink by any means; it just isn’t the color for me.